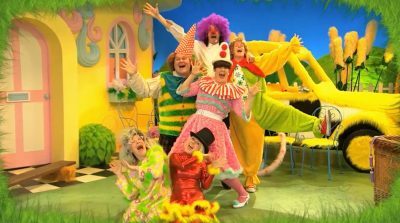 Mellie Buse was the co-creator, co-writer and co-producer with Jan Page of all five series of the hit Bafta nominated CBeebies show. Sold to 108 countries across the world it continues to be a successful and popular series. Martin Franks was a Director and Series Director also on all five series. Watch clips and songs from the series, here. Mellie Buse was the co-creator, co-writer and co-producer with Jan Page of all 52 episodes of this BAFTA winning series. Launched to over 300 million homes across Europe, Middle East and Africa, it continues to be a popular show with its fans and new digital audiences. Martin Franks was the lead Director on both series. Check out 'Hairies' full episodes here! Adastra Development are in advanced discussions with several Broadcasters about several new shows for 2018 and beyond. We have worked with numerous production companies, freelancers and publishers to develop children’s properties for the market. We advise on bibles, development options and detailed editorial including pilot scripting. We can assist with all areas of development, pre-production and production. We have worked with companies throughout the world including India and mainland Europe.